Dr. Santiago-Schwarz is a professor at the Feinstein Institutes for Medical Research and professor of Molecular Medicine at Donald and Barbara Zucker School of Medicine at Hofstra/Northwell. She was born in San Juan, Puerto Rico and attended the University of Puerto Rico (UPR) where she was first introduced to, and connected with, the field of immunology. After obtaining a BS in biology from the UPR, she pursued a MS in Biology/Immunology from New York University (NYU) while working under the mentorship of Dr. Joel Buxbaum, Chief of Rheumatology at NYU. From there, Dr. Santiago-Schwarz went on to pursue doctoral studies at the University of Southern California, School of Medicine, under the guidance of Drs. Jeffrey Frelinger and Richard O’Brien. Her thesis work described for the first time, isolating and functionally characterizing human dendritic cells (DCs) from peripheral blood. Subsequent work related to further understanding of DC biology in humans included the initial delineation of cytokine-driven human DC hematopoiesis from cord blood progenitors, deciphering key molecular events related to the positive and negative control of DC development and function, the first description of a leukemic counterpart of myeloid DCs. At the Feinstein Institutes for Medical Research, Dr. Frances Santiago-Schwarz’ research continues to be concerned with control of monocyte and DC development in normal and abnormal physiology and developing new therapeutic agents for autoimmune diseases. 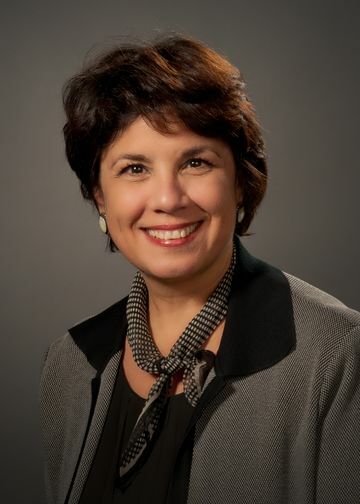 Throughout her career, Dr. Santiago-Schwarz has also been actively engaged in the direct training of biomedical research/physician scientists at distinct levels of training and enhancing educational experiences for underrepresented groups in STEM. Current work includes disrupted cytokine and inhibitory immunoreceptor networks (LAIR-1, CD33) affecting monocyte/DC activity, particularly in rheumatoid arthritis and systemic lupus erythematosus. A key collaboration with Drs. Betty Diamond and Myoungsun Son stems from our discovery that C1q interactions with the inhibitory receptor LAIR-1 control dendritic cell activation, differentiation and function. Examples of ongoing and developing projects include: deciphering the biology of inhibitory immunoreceptor CD33 (Siglec-3) and CD305 (LAIR-1) within the monocyte and dendritic cell lineages; understanding how autophagy regulates monocyte and dendritic cell development; and developing strategies employing extracellular vesicles for the treatment of autoimmune disease.